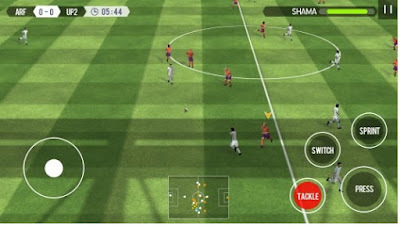 Real Football is a free soccer simulation video game from the developer Gameloft that appears as an alternative to Fifa 17 fans who prefer to play on their Android phone or tablet. 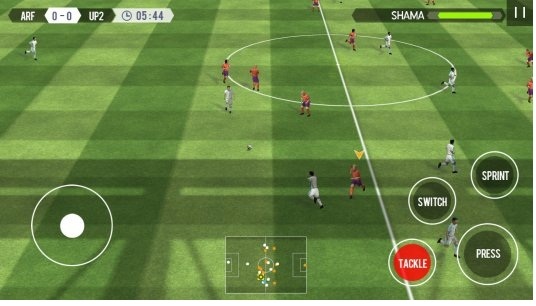 With a simulate mode to the popular Ultimate Team, the game is packed with options and has good controls. In the game, you need to create your team, hire players, scale the team and organize training and tactics to win online and offline matches. Stamina points are one of the most important items in Real Football. With them, you can play online and offline game matches. It is important to always be aware of the amount of points. If your Stamina runs out, you will need to wait for the recharge, which usually takes a few minutes. Another option is to invest in game currency to recharge the points, or even pay for the items with real money. In the game, users must create teams and assemble them with new players. Another important task is to adjust the training and custom tactics, which are important for the good performance of the team. To do this, go to the menu and search for formations that fit well with the players available in your cast. Tactics can also help keep more ball possession, close defense or have a more powerful attack. Real Soccer players can be improved in game matches and training sessions. In this way, the coach selects some of the attributes of the player. Note that this requires investment of valuable items, so focus your efforts on quality players who you plan to use for a long time. In addition to playing online and offline matches, players also have access to various quests and tasks that can be fulfilled to unlock the game's valuable votes. Always go to the list and try to accomplish the missions little by little to accumulate lots of money. If you want to improve some position of your team with new players then the lottery system works more or less like the Fifa Ultimate Team gold packs and special entrepreneurs of the PES 2017 myClub. With this type of item, you are guaranteed to receive a good quality player to strengthen the team. It is possible to participate in the lottery with gold or paying for the item with real money. If you are tired of playing Real Football then don’t forget to at least enter the game to collect your bonus for login. By accessing the game for several days in a row, you can greatly improve your rewards.